SpeakerCafe.com is a professional speaker directory that helps to bring speakers, companies and event planners together in a fast and efficient way. SpeakerCafe.com is not a speaker bureau, where speaking opportunities are found for speakers. Rather, if you’re looking for a professional to speak at your next event, this is the place to look. All of our speakers and their credentials are quickly accessible for you to review and potentially book on the spot. HOW DOES SPEAKERCAFE HELP COMPANIES & EVENT PLANNERS? 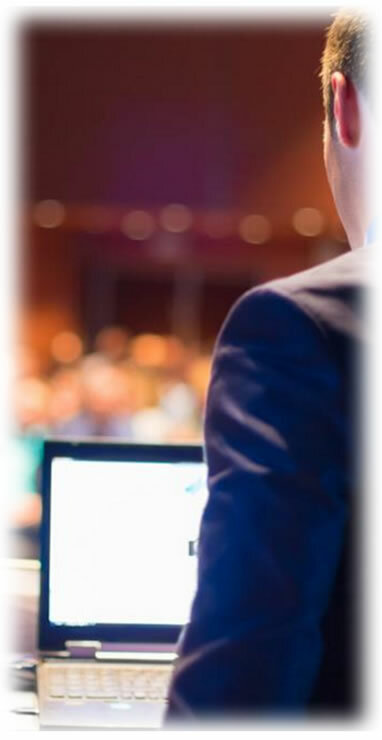 For example, SpeakerCafe.com is designed to bring event planners and qualified speakers together. If you have a particular speaker in mind, you are free to contact the speaker directly or SpeakerCafe.com can assist you with speaker availability, scheduling, and confirming fees to the satisfaction of both parties. If you cannot find the speaker you are looking for and if you are looking for a recommendation, allow us to suggest a speaker best suited for your program and budget. Simply contact us online for assistance. HOW DOES SPEAKERCAFE HELP SPEAKERS WHO WANT TO GET MORE EXPOSURE? Most speakers are great at what they do … SPEAKING! Where many fall short are in the areas of self-promotion, increasing their exposure and building brand awareness for their speaking services. At SpeakerCafe.com, speakers can showcase their presentation topics, advertise for the right audience, share contact information plus promotional materials about their speaking platforms such as video, audio, speaker one-sheets, testimonials and then partners with you to ensure that you have compelling, influential speaking experiences. Every company, event planner, or organization is looking for that “wow” factor when hiring new speakers. Let us help you with writing your bio, publicity photos, course descriptions, testimonials, video clips, book promotions, or samples of your speaking engagements that will leave a lasting impression on your audiences. As an author, speaker/trainer and business consultant for more than 20 years, Bart Smith serves the speaker community by designing and promoting an independent speaker directory with the aim of serving thousands of companies and event planners worldwide that are searching for really dynamic speakers! With the many businesses and websites that Bart has created and operates, he knows how important it is to get immediate exposure. So, with world class skills in web design, graphic design, publishing, audio/video, blogging, publicity, coaching, speaking and marketing, he created SpeakerCafe.com to help professional speakers with what they need most … EXPOSURE … for their messages, products and services. SpeakerCafe.com is the single online resource that schedulers can turn to for highly qualified and innovative speakers for their speaking events … and in a hurry!